“Comparison is the thief of joy” Theodore Roosevelt. Let’s face it, there will always be better people than you out there, the same way you are better than others in what you do. The moment you start comparing yourself to others, mostly those who do better than you, feelings of inadequacy develop resulting to self doubt. What you have to acknowledge is your uniqueness and comparing yourself to others is being unfair to yourself. We come from different backgrounds, built differently; have different life motivations among other qualities. With comparison therefore, you are not using a common denominator and this is not realistic. “If you compare yourself to others, you will become vain and bitter there will always be better and lesser persons than yourself” – Desiderata. We live in this highly innovative and beautiful world where so many innovations and discoveries have been made. So when you want to create something, you’re thinking, I’m sure someone somewhere has created this too. You think that you have nothing new to offer the world, so you develop self doubt that you have nothing to offer. Think about it, say you love one artist, and you think, this is the best guy ever, no one can replace that person, say for example, Michael Jackson. He was great, he was the pop king, and you’ll think, no matter how many people come and go, he will be the greatest. Well, that is true, no one will ever be Michael Jackson, but does that mean no one will ever create any other music that you love? There comes another person, such as Bruno Mars, he is great, he is not Michael Jackson, but he is great in his own different and unique way. So trust me, you have something to offer the world, not all has been done before. Yes it is true; you are not good enough, because you learn as you go. No one starts as an expert; you become an expert by being at it for a long time. All you have to do is have some confidence to start. We have all struggled with our self confidence at some point, and the truth is, it stands on the way of our success. There could be some reasons why your confidence is wavering; but luckily, there is something you can do about it; on how to boost your self confidence. The good thing is confidence can be learned, like a skill. The first step towards having self confidence is faking it. What motivates you to work? Is it the money? Is it the need to provide for yourself or your family? Is it passion to help others? All these are valid motivators. You must have some source of motivation to get things done. Without motivation, you cannot place your work on the priority list because it is hard and there are easier things you prefer working on. Sometimes having a steady job gives us comfort such that we are not motivated to work on something extra. You are not to blame for this, humans strive to achieve happiness and comfort and it is not easy for us to remove ourselves voluntarily from a comfortable position. Practice makes perfect. 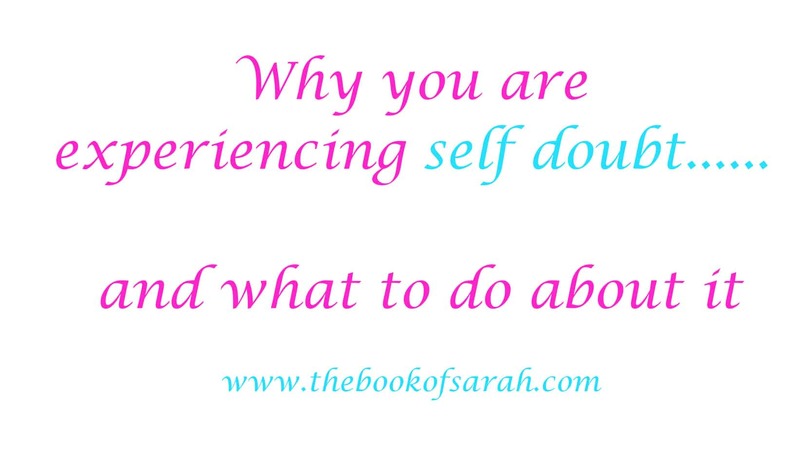 Maybe the reason you are experiencing self doubt have to do with that you have slacked in your skill. To be a master out there, you really have to sharpen your skill. In his book, Outliers, Malcolm Gladwell argues that it takes 10,000 hours of working on what you have to make you an expert at it. Though this has been disputed here and there, the bottom line is, you have to keep doing whatever it is to sharpen and improve your skill until you are confident in it. Self doubt goes hand in hand with self confidence. Even when we have very high esteem and high self-confidence, sometimes our confidence wavers. The good thing about confidence is, like any other skill, it can be learned. You can find ways to boost your confidence and it gives you the drive to do what you love. A while ago I wrote about how Kylie Jenner boosted her confidence. I also have another article on how to boost your confidence. Confidence starts with faking it and modeling it till it is part of you. The mother of self doubt is that voice throwing negative comments about you. As much as we all have that voice from time to time, you have to balance it such that it does not overtake your positive vibes. There are several psychologically proven tactics you can use to silence that negative voice. You can use thought stopping, whereby every time that comes up, you say the word STOP loudly. It gives you an opportunity to check yourself and not to be pulled into the whirlpool of negative thinking. Acknowledge that you are unique and you have to bring your uniqueness out there. Remember, comparison is the thief of job. Trust yourself and whatever you are doing. You may have to seek assurance from others who believe in you. Sometimes we have to hear from other people who believe in us to be assured that we are great in our own way. Talk to someone who can help you exploit your positive sides. Sometimes we worry too much about what other people think about out skills. The truth is, not all people will love what you have to give to the world, some will criticize, others will judge you and others will call you a phony, an imitation and all that. Everyone gets that, even the greatest people you know have critics. Stop seeking validation from others, not everyone will think what you are creating is great, not everyone will think you are the most magical person out there. The truth is, you are not, but in one way or another, you are making an impact in someone’s life, that is all you have to consider. Motivation gives you a boost of optimism. I am a motivation junkie, I like motivation quotes, books, talks and conversations and much more. This gives me a boost of optimism and I get things done. Whatever motivates you, go for it. Be it a work out, an intense talk with a friend, a Ted Talk on YouTube, a book or whatever works for you. Do not be shy seeking for motivation, if you ask me, you need motivation every day. “People often say motivation doesn’t last, well, neither does bathing- that’s why we recommend it daily” – Zig Ziglar. Make it happen, if you want to do something, go ahead and do it. Stop waiting for the right moment, the timing, all that.